Queensland Health is undertaking mosquito control measures at Lytton after the detection of two species of invasive mosquito. 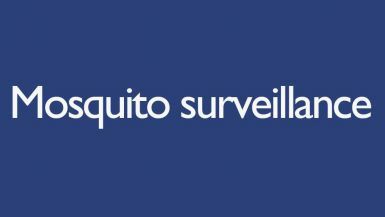 Routine mosquito surveillance detected life stages of the Asian Tiger Mosquito (Aedes albopictus). Further precautionary surveillance in adjacent areas detected a specimen of a different exotic mosquito (Aedes aegypti) in the Lytton commercial precinct. While these mosquitoes can carry diseases such as dengue, chikungunya or Zika virus, there is no immediate threat and no suggestion that these detections present any risk of disease introduction. Precautionary measures have been undertaken, including fumigation, onsite fogging and residual insecticide spraying of the affected premises. Current mosquito control measures are focussed in commercial/industrial areas and additional inspections and trapping are being undertaken in surrounding locations. Queensland Health has extensive experience and success in working with local councils to control problematic mosquito species. All spraying is conducted professionally and safely, and poses no risk to people or pets.